The first two weeks of 2017 have seen some amazing deals for long haul travel in Business Class and Premium Economy (which you would preferably upgrade using Avios). Joe has done his best to keep InsideFlyer readers informed of such gems as Benelux to Tokyo (return) for £500 in Business Class on Qatar Airways and Stockholm to North America in Premium Economy for a similar price with British Airways. I nearly booked myself a £450 fare from Zurich to Singapore in Premium Economy (again on BA), before deciding that 12+ hours overnight in Premium Economy was simply not bearable (how times have changed from when I was a poor backpacker! ), despite the usually overwhelming incentive of triple Avios. A common theme of these cheap fares is that they are rarely offered to British residents departing from the United Kingdom. I would write an entire post moaning / explaining why this is the case. I’ve already written one suggesting that you avoid UK taxes on Avios rewards by positioning elsewhere for a partner reward. However, instead of moaning, I prefer to book that ultra-cheap flight and make my own way to the departure point. This usually involves what is often called a “positioning flight”. Positioning flights are purchased separately from the main itinerary and, as the name implies, involves you “positioning” yourself from wherever you happen to be/work/live to wherever a flight itinerary is officially departing from. This involves risk. When you purchase a ticket from Amsterdam to Tokyo via Doha, Qatar Airways are contractually responsible for getting you from Amsterdam to Tokyo. If you miss your connection in Doha, the airline must get you to Tokyo as quickly as possible. If you actually live in Manchester and buy a ticket on Easyjet to get to Amsterdam, then Easyjet simply has a contract for getting you to Amsterdam. If something goes wrong, however, Easyjet has no responsibility to get you to Tokyo. At best, they might be required to compensate you under EU regulations for a late arrival to Amsterdam. Likewise, Qatar Airways is not responsible for your failure to show up on time for your flight to Doha. So, you might find yourself stranded in Amsterdam instead of jetting off to Japan. Some airlines are charitable in such situations and rebook you on the next available flight; others suggest that you contact your travel insurance provider. It is virtually impossible to know in advance whether the airline – and the specific agent you manage to talk to – is going to be the sympathetic kind. For larger families (and the risk-averse), booking tickets separately is probably not suitable. But for the rest of us, how can we take advantage of those great fares, whilst minimising as much of the risk as possible? Here are a few useful tips. 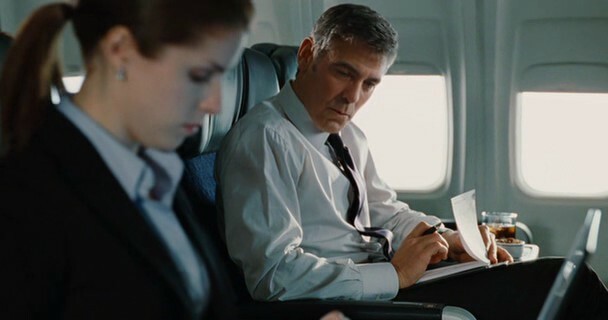 The next time you watch George Clooney’s “Up in the Air”, concentrate on the funny bit where George throws Anna Kendrick’s luggage into the bin at the airport! Checking luggage into the airplane hold can have substantial advantages, but saving time is not one of them. Airlines used to have informal policies allowing for “interlining” of checked luggage on separate tickets, but many have dropped this feature. So you can no longer count on convincing a check-in agent to check your luggage through to your final separate-ticket destination. Sometimes this is obvious, such as an Easyjet to Qatar Airways connection; other times this is really annoying, when you can’t think of a single reason why Oneworld partners BA and Qatar Airways cannot agree to check your luggage through. This matters because: a) upon the arrival of your positioning flight, you would need to pass through passport control and then wait for your luggage to arrive onto the carousel and b) you would need to race up to departures to re-check your luggage before the cut-off. This cut-off time is naturally much earlier than the point when a hand-baggage only passenger needs to present themselves for boarding. Even worse, should the airline of your positioning flight manage to misplace your checked luggage, do you really want to try to explain to Easyjet that your luggage needs to go to Tokyo, or back home to an empty house in England? Similar to my first point, you do not want to arrive to an airport and be required to search frantically for an agent to print out your boarding pass for you. Sometimes your plan of getting a gate agent to print one won’t work – as you often aren’t even allowed to pass through a secondary or transit security check without a boarding pass – and not all airports have a staffed “flight connections” facility. Most airlines allow you to check-in online, although this is occasionally restricted if a visa is required for your final destination / transit point. If you don’t have access to a printer, then download the airline’s phone App well in advance and use it to check-in from home. If you’ve followed points 1 and 2, instead of being required to check-in 60-90 minutes before departure, your absolute deadline becomes making it to your boarding gate before it shuts 15 minutes or so before scheduled departure. Some people believe that an appropriate option is to call the airline(s) and ask to link two separate reservations (or Passenger Name Records – PNR for short). The hope is that these two separate tickets will be treated as one. This is essentially an urban myth. At best, the agent has placed a note on your reservation noting your arrival on a different flight, but you have not received any additional protection for a mis-connect. Don’t bother! Most airports publish MCTs – Minimum Connection Times – to guide airlines and travel agents regarding the amount of time that an able-bodied person would normally require to disembark an aircraft, pass through any additional controls, and make their way to the next boarding gate. Since you aren’t protected for misconnects on separate tickets, MCTs are only really a useful guide for positioning flights if you use them as your baseline. If Airport A has a MCT of 30 minutes and Airport B has a MCT of 90 minutes, then you should be leaving an extra hour’s leeway for any positioning flights into Airport B. If you really don’t want to position the night before, try to take the very first flight in the morning. Most of the time, your aircraft will have spent the night at the airport, ready and waiting for its next flight. Delays often escalate during the day, but that first flight in the morning usually manages to depart on time. There is only one 95%-guaranteed way of not missing a flight… arriving to an outstation on the same aircraft that will subsequently be going the other way. Unless your airline has the ability to substitute a different aircraft, you can be sure that any delay on your positioning flight will cause a delay on your subsequent flight. I cannot give this method a rating of 100% foolproof, however, since you might be in the last row of economy on your positioning flight into an airport where you must pass through security controls and/or passport control before catching any connecting flight. As strange as it sounds, people have managed to miss their flight even though they arrived on the exact same aircraft! I once managed, just barely, a mad dash on a sprained ankle at Jersey airport to get through arrivals and back through security control for what I thought would be a simple no-passport turnaround on the same plane. This method is very popular with British Airways’ so-called ex-EU bargains since many Londoners are looking to save money and accumulate Tier Points. A popular thread on Flyertalk discusses which European airports are most suitable for quick turnarounds. Ideally you would deplane directly into the departure gate area, leaving you with the dilemma of sitting down to wait for boarding, or whether to sneak off to the lounge for 15 minutes. If you cannot manage to position using the exact same aircraft, you should at least consider positioning using the same airline. You are much more likely to receive flexible treatment if the airline knows that it itself is responsible for any missed flights. For example, if you booked Joe’s Stockholm to New York via London offer, you might actually be planning to fly all of the way back to Stockholm, before turning around and returning to London. If you are delayed departing New York, you might be rescheduled onto a later connecting flight into Stockholm. Suddenly, your stand-alone, same-plane positioning flight is no longer useful since you won’t be on the incoming aircraft. 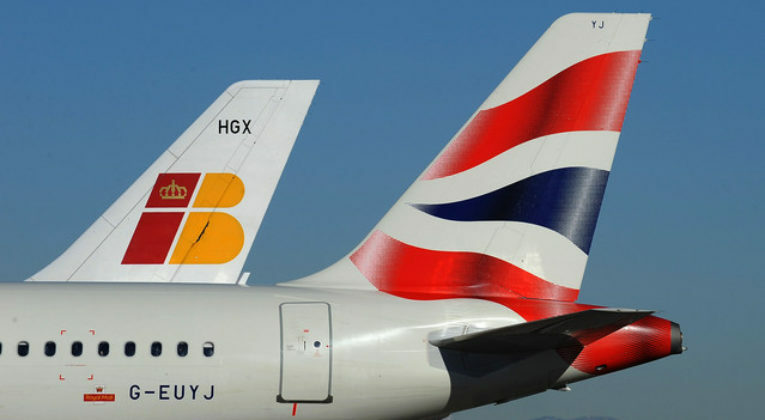 If all flights are booked on BA, this is rarely a major issue since BA will recognise their responsibility for the delay. If you booked your flight back to the UK on SAS or a low cost carrier, you are probably out of luck. Admittedly, this strategy works best on “London Airways” and who knows… you might even be invited to skip your out-and-back to the Continent and you could still claim Original Routing Credit. Check the fine print of your policy. What is the coverage for a so-called “flat tyre” incident? (anything outside of your control that keeps you from arriving to the airport on time) If you are confident that your travel insurance provider will pay for the cost of missing a separate-ticket connection, then you can aim for a much shorter connection time. Otherwise, assume that your insurer is going to make every effort to not pay out! Booking long haul itineraries that depart from outside the UK can be an amazing way to save money and earn additional miles and tier points. But make sure to play it safe when booking positioning flights, to ensure that you aren’t left stranded somewhere you hadn’t intended! I know what you mean about Jersey. Officially there is no ‘connections’ option to walk straight into the departure lounge. All arriving passengers have to walk into arrivals, go outside, and walk across the road to Departures. However, this doesn’t change the fact that after disembarking your aircraft you walk right past the door that leads into the departure lounge, with people coming through it all the time. I don’t see how anyone could stop you walking through it. There’s no barrier. How so? Were you spotted by a member of staff? I’m intrigued now! No intrigue… I saw the unstaffed door with a duty free shop or whatever behind it and thought “that can’t really be it” and so I foolishly followed the crowd until I found myself in arrivals. Obviously Jersey airport is quite compact so it’s not really a big deal to go back through security again. I’ve been looking for an article like this for ages – thank you. It’s really good. Would anybody recommend a travel insurance policy that does cover flat tyre incidents?